How do you back up all your Facebook data? This is a common question I get asked frequently so it’s time to show you how. The most important thing to know is that if you don’t back up your Facebook content and the site goes down or you get the boot, it will be gone and inaccessible forever! 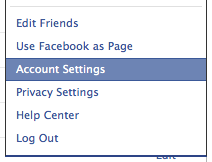 That should be enough to motivate you into taking these next few simple steps and backup your entire Facebook content. 7. Now you will see a Request for Download confirmation, click the blue “Okay” button. 8. You’re almost done. 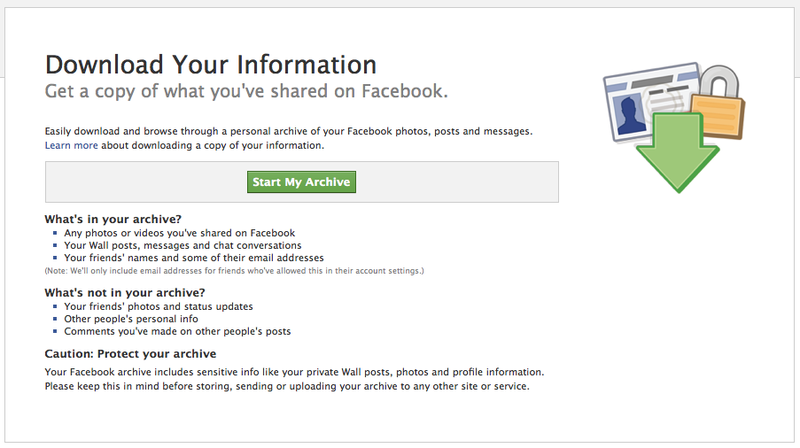 Facebook will now export the archived file and email you when it’s ready. 9. The final step is to retrieve your file from Facebook that will be emailed to you. That’s It! Over 3 years of Facebook content backed up into a single 289 Megabyte .Zip file. 10. Now go tell all your friends and those you care about to backup their Facebook data and content too. If you have created Facebook Fan or Business pages, follow these steps for each page. Backing up your profile data on Facebook will NOT include all your other Business and Fan pages, each one will need to be backed up separately. Great article. I’ve just posted a link to it for all my Facebook contacts, and I’ll also post it on my http://emarketingmama.com blog.